When trying to think of a canal town in the world, most people immediately come up with Venice, Italy. While Venice is undeniably one of the most beautiful cities in the world, it’s not the only canal town out there. Here are five of the most stunning canal towns you can visit on your global travels. 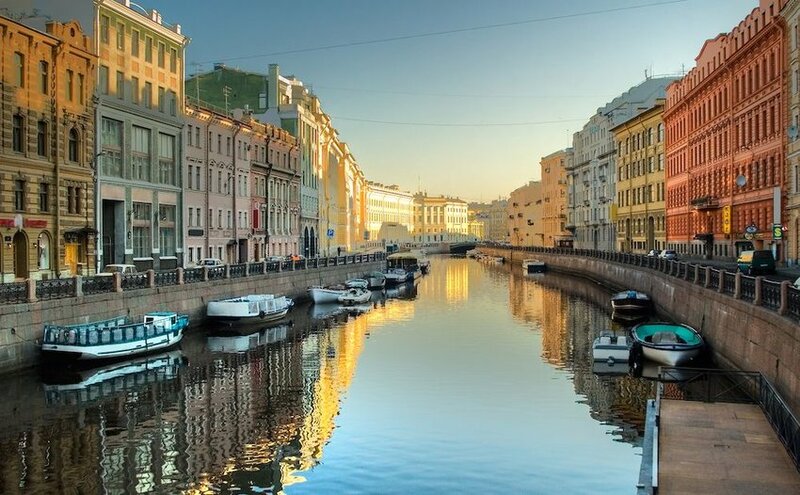 St. Petersburg might not be the first place you think of as a canal town, but there is an entire network of canals that crisscross this stunning city. The city is situated at the confluence of the Neva River and the Baltic Sea. To help with drainage years ago, the city dug multiple canals, which are said to be modeled after Amsterdam’s famous canals. You’ll see interesting architecture, including circa-1800 mansions and cathedrals, and ample watercraft, including futuristic looking hydrofoils. Summer is definitely the best time of year to visit, when the canals come alive with tons of boats. Don’t miss scenic canals like Griboedov Canal with its iconic Bank Bridge with decorative griffins. Tigre is located about 20 miles from Buenos Aires and is built on the Paraná Delta. The town was basically constructed out of hundreds of islands, and you’ll find everything from elegant homes to tiny fishing abodes set up on stilts. Canals range from large open waterways that can accommodate private boats and water taxis to ones that are so thick with foliage that you can only get through on a single skiff. 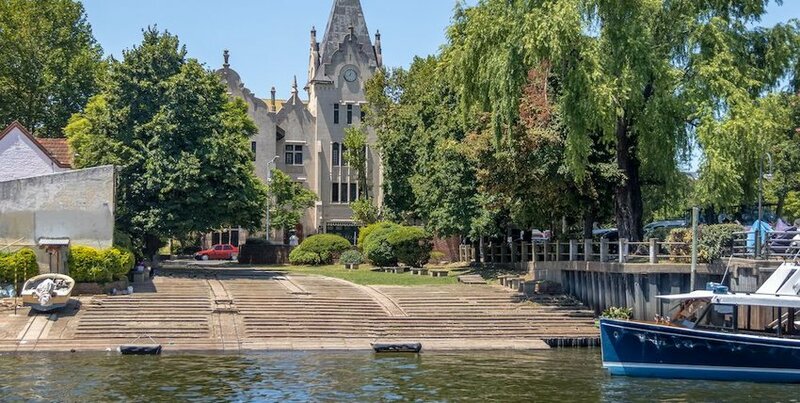 Don’t miss the Museo de Arte Tigre, which originally opened as a social club a hundred years ago when the rich elite from Buenos Aires were visiting Tigre. It was eventually abandoned following the economic crisis in 1930 and a subsequent prohibition on gambling. It was eventually reopened as a museum in 2006 and houses a permanent collection of Argentinian art. Where is the world’s largest amphitheater? Bruges is another stunning canal town located in the Flemish region of Belgium. It dates back to the 9th century and was founded by the Vikings. Its link between the river Zwin and the North Sea made it an important international trading port. 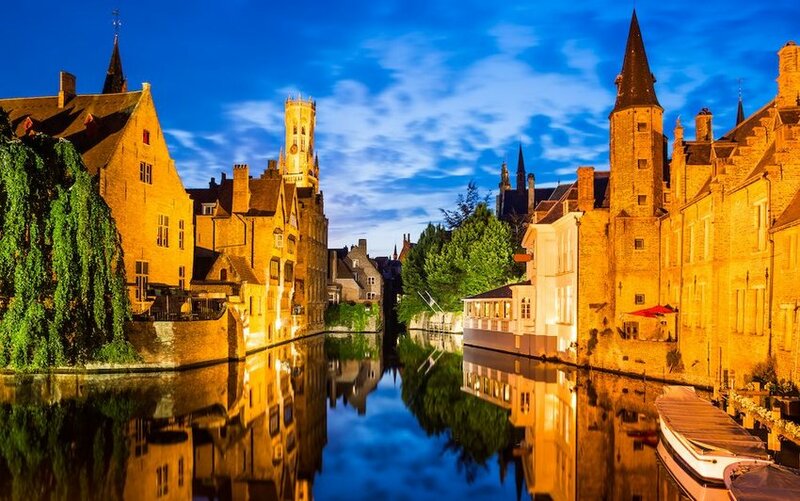 Bruges features quaint cobblestone streets and gorgeous bridges. Gabled homes line many of the canals that form a moat around the fairy tale town. Some of Bruges’ canals date back to the 1100s. Explore the inner canals, which form a leisurely two-mile walk that takes you past some of the most romantic views and picturesque old streets. Walking around Bruges today, it’s hard to imagine that by the mid-1800s it was the poorest city in Belgium. It was tourism in the 20th century that helped breathe new life into this historical gem. 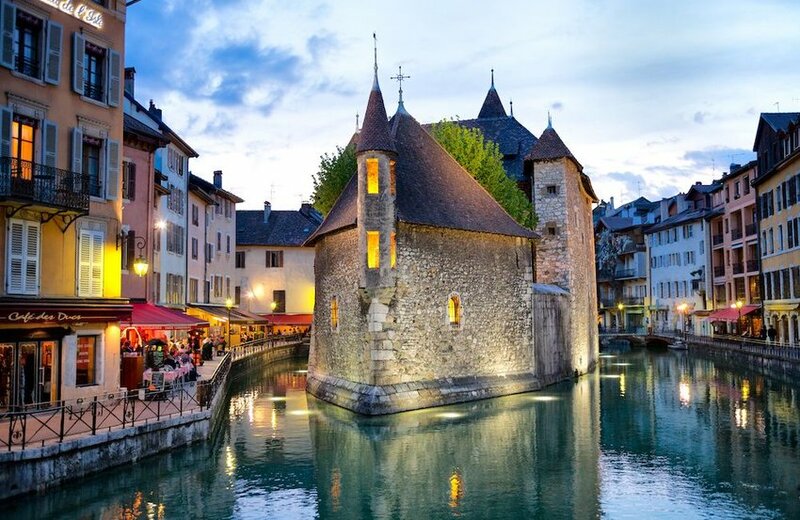 Scenic canals, historical buildings and castles abound in Annecy, but it raises the bar for other canal towns with its stunning turquoise lake and surrounding mountain scenery. Annecy is in the Haute-Savoie region near Lac d’Annecy, which is the third largest lake in France and is bordered by the French Alps. Vieille Ville may have more canals than roadways, and each one is lined by beautiful pastel buildings. One of the most iconic photo spots includes the 12th century Palais de l’Ile, located on a triangular turn of the main Canal du Thiou. Next to Venice, Amsterdam is one of the most well-known canal cities in the world. 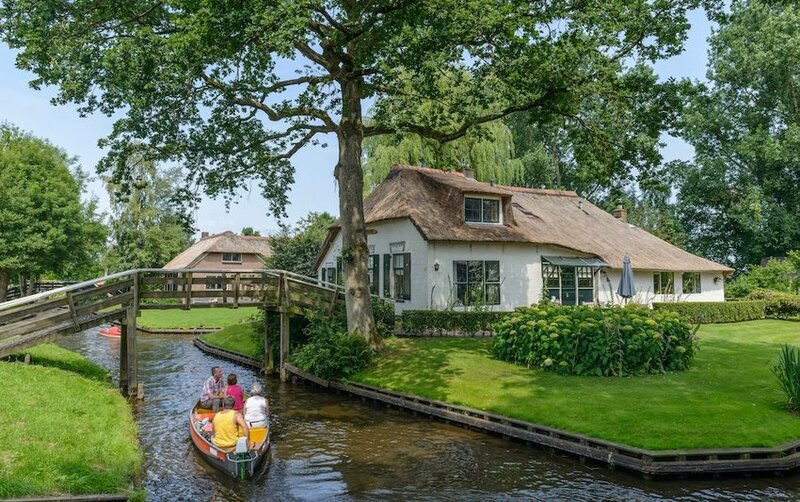 If you’ve been to Amsterdam or are looking for something smaller and more charming, head to Giethoorn, which is less than a two-hour drive from Amsterdam. This primarily car-free spot is known for its beautiful canals and thatched-roof houses. There are lush footpaths and bike trails around Giethoorn that make it feel like the Dutch village popped out of the pages of a fairytale. Not surprisingly, it is sometimes referred to as the Dutch Venice. Join a scheduled canal tour or rent one of the electric boats that seat two to three people and explore on your own. Remember to be respectful of people’s privacy as you are walking or boating around, and do not trespass onto people’s yards. Giethoorn is not a tourist village, it is a functioning town with around 2,600 year-round residents.